The owner of the company I worked for at that time had a creative flair. 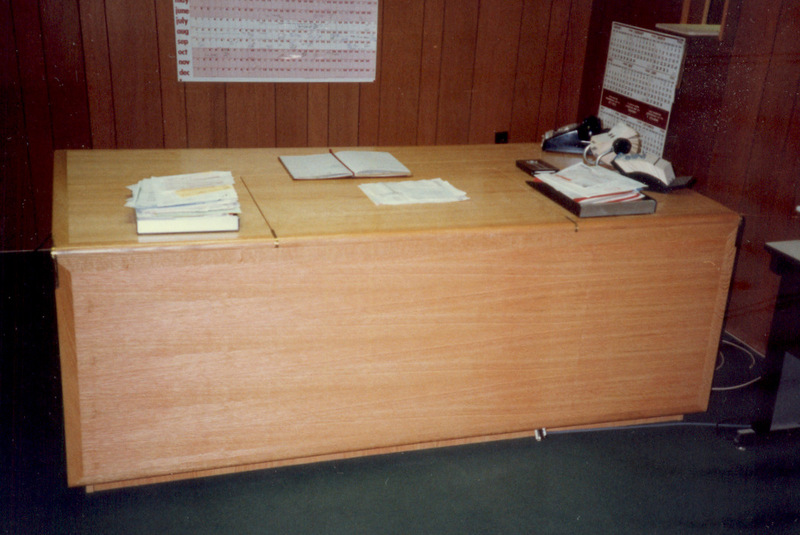 Aiming at small business owners, he designed this desk as a multi-function unit that could expand for staff meetings. 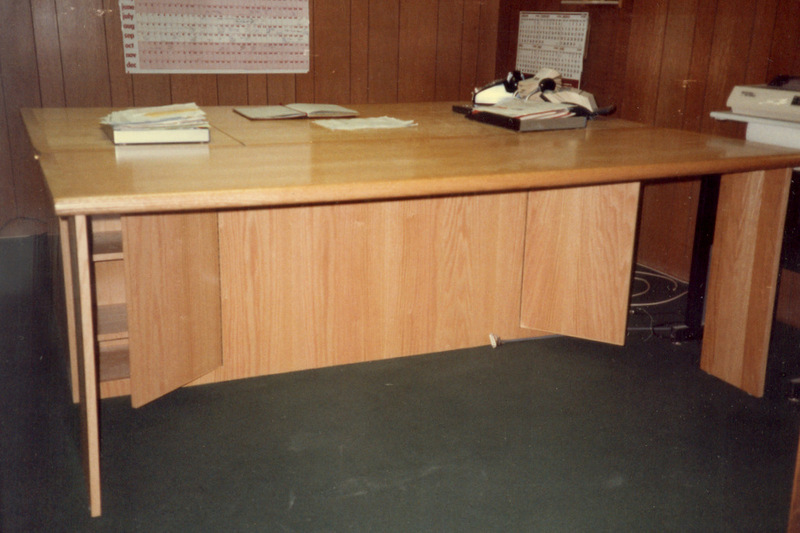 Personal computers were new then, and his was enclosed in the desk, which opened electronically by a scissor lift mechanism through a push button remote. It sold for $10,000.